Abraham Heschel observed, “The striking surprise is that prophets of Israel were tolerated at all by their people. To the patriots, they seemed pernicious; to the pious multitude, blasphemous; to the men in authority seditious” (The Prophets: An Introduction, 19). Hosea’s message was not a popular one. The prophet had hard words for Israel. He had to tell them they were wrong. 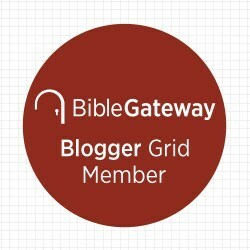 After the third chapter, Hosea never mentions his wife’s adultery and prostitution again, though adultery and prostitution remain his major theme. 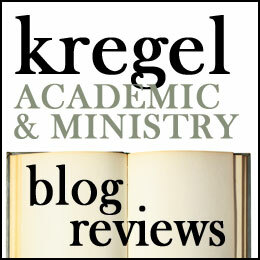 He focuses his prophetic critique on Israel’s adultery—their unfaithfulness to God. A three part charge: (1) no truth, (2) no love, (3) no knowledge of God in the land. The next two chapters, “Chapters four and five evoke courtroom imagery as evidence of these charges set forth.” (Richard Alan Fuhr, Jr. & Gary Yates, The Message of the Twelve, 73). Hosea describes Israel’s guilt—they were a bad people; however we can’t listen to Hosea’s declamation dispassionately. We too are implicated in Hosea’s threefold charge. ’emet-truth, trustworthiness, and faithfulness. There was a lack of truthfulness in Israel. The people abandoned the truth and failed to act truthfully. “There is only cursing, lying and murder, stealing and adultery” Ho 4:2. The princes of Judah (the leaders of the Southern Kingdom) are also guilty of the same lies as the Northern Kingdom in moving the boundary markers (cf. Hos. 5:10). The truth is short-shrifted as Israel chooses to chase the lie of idolatry. What about us? Wouldn’t the prophet indict us as well? We are only a decade past the types of predatory sub-prime lending that led to a global economic collapse and the 2016 US election ended with the Electoral College disagreeing with the Washington Post about which major candidate’s lies were most significant. We decry fake news but we are each skilled at finding media outlets which gives us our preferred version of events. Untruth rules the age. Most of us are more worried about being taken in then we are about trustworthiness, and while “truth in advertising” may be the law of the land, doesn’t that sound more like a punchline? hesed-faithful love: The Hebrew word hesed is a covenant word. It is variously translated as loyalty, loving-kindness, faithfulness (or faithful love, as above), graciousness, goodness and mercy. This is the word used throughout the Old Testament to describe the relationship that Yahweh has with His people. Sally Lloyd-Jones’s The Jesus Storybook Bible gives one of the greatest descriptions of hesed, “a Never Stopping, Never Giving Up, Unbreaking, Always and Forever Love” (JSB,36). and their divining rod gives them oracles. and they have played the whore, forsaking their God. thus a people without understanding comes to ruin. ( Ho 4:12–14 NRSV). they love lewdness more than their glory. and they shall be ashamed because of their altars. (Ho 4:17–19, NRSV). and they do not know the LORD. (Ho 5:4, NRSV). Alternative spiritualities– Dissatisfied with what we encounter in churches, we chase new spiritual options. For some this means choosing another religion, for many it means a choose-your-own-religion spiritualism. We blend aspects of Eastern religion, humanism, New-Age-mysticism and therapeutic pop-psychology. We end up rejecting a relationship with the God of the Bible, for some nebulous god of our own making. Materialism- Believing what we see, touch and feel, and feeling angry about injustice done in the name of religion, we deny the reality of anything that can’t be measured. We declare the supernatural a farce. We stand on evidentialist grounds (and we know that there are angles all around). We no longer have a relationship with God, because, for all practical purposes, we live like He doesn’t exist. Whatever gets us through the night- Good old American individualism and pragmatism encourages us to find whatever it is that works for ourselves. Certainly consumerism feeds into this (retail therapy!). As does the pursuit of all kinds of pleasure, and our self-medicating strategies of distraction. If we think of God at all, it is not because we love and honor Him. We want to know what He can do for us. Whatever causes us to sever our connection to the Triune God is adultery/idolatry. Hosea could name the god that Israel chased (Baal). Our gods are called Legion for they are many. I also will forget your children. (Hosea 4:6, NRSV). Ignorance is not bliss. Israel was supposed to represent the LORD to the nations, declaring to all peoples the goodness and greatness of God. They could not mediate God’s presence to the world because they no longer knew who this God was. Coming to terms with our own ignorance and lack of knowledge may be the most difficult charge for us to grasp; Yet where there is no truth, and no love, there is no knowledge of the Other. he has struck down, and he will bind us up. Hosea 5:15–6:1, NRSV. The word for Israel and for us is love.